Was Muhammad Ali Ever Better? Was there ever a better Muhammad Ali than the one who fought on March 8, 1971? 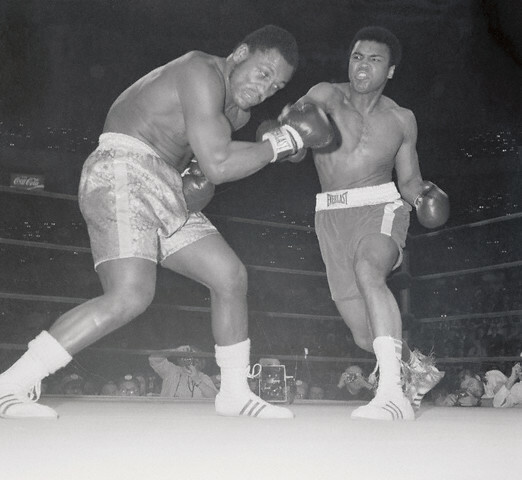 I challenge my readers to take a close look at the film of the Joe Frazier-Muhammad Ali world heavyweight championship match fought on that date. I have watched this film many times, including several times just recently. There are some important factors the careful analyst should make note of concerning this fight. In a comparison to the 1960’s Ali, the 1971 version was more filled out and physically stronger than the Ali of 1966 or ’67. Ali weighed about 202 for his ’66 fight against Henry Cooper, by the time of his fights with Ernie Terrell and Zora Folley in ’67 he was 212. Against Frazier in ’71 Ali weighed 215 only a few pounds more, but his upper body musculature looks far more impressive than that of the 60’s version. Consider that Ali was less than 2 months away from being 28 years old, having just hit his 29th birthday Jan. 17, 1971. Ali was still very close to his absolute physical prime as a fighter. It is not fair to say that the Ali who fought Frazier was past his peak, ill prepared or suffering from rust. Ali had two tune-up fights before facing Frazier, one of them a 15 round knockout of Oscar Bonavena. It was the only time in his career that Bonavena, who twice went the distance with Frazier, was ever stopped. Ali was not suffering from poor timing against Frazier, nor was he judging distance improperly, or lacking punching effectiveness, which are the usual signs of a fighter who is affected by lack of good training. The film bears this out clearly. When did Ali ever look better than he did in the first five rounds of the ‘71 Frazier fight? Produce the film where Ali ever looked better. Ali’s punching accuracy was superb. He was sitting down on his punches and he never hit harder. The Ali of the second round was as dominant as I ever saw him. He couldn’t miss. 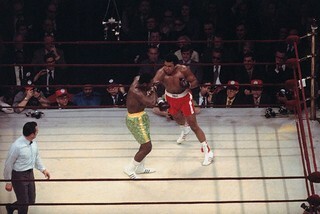 Ali swept the early rounds of the fight. If you watch the film one would never know that Ali was coming off a lay off. Perhaps had Ali never went into exile his stamina may have been greater, but Ali never looked better in any of his other fights than he did on that night. In all honesty, when did Ali ever go out to totally destroy a foe of such caliber ever before? Against Liston he was young, he boxed, he moved and he made old man Liston look even older than he was and it seemed as if they were moving in different time zones. But Ali did not hit as hard, nor was he as physically strong in the clinch as the Ali of ’71. Ali went after Cleveland Williams, but that was a mercy killing. Williams was not the same fighter he was in previous years due to the fact that he had a bullet lodged in him from a shooting incident. Ali tortured Terrell, he had the speed and the accuracy, but did he not hit him with the power and authority that the Ali of ’71 would have. Ali fought a great fight against Frazier. Ask yourself would a peak Ron Lyle hit Joe Frazier harder than the right hands Ali hit Frazier with that night? Ali's punches did not lack proper timing or distance but instead were not only properly thrown but fast, accurate and powerful shots. Ali may have never thrown more consistent hard punches at any other time in his career. Some will contend that Ali did not dance for 15 rounds like the 60’s version, but the truth is Ali would never have been able to dance like that against prime Frazier. Frazier came in too fast and was too good at cutting the ring. Frazier, probably more so than any other heavyweight champion was the most persistent at applying non stop pressure for 3 minutes of every round. Frazier’s aggressive bobbing and weaving style would have given any version of Ali fits just as he did in all of their actual fights. One must realize that during the 60's Ali never faced a fighter who could slip his jab and press him constantly on the inside. Ali did not plan on going to war with Frazier, but Frazier forced it on him. As Ali once said, “I bring out the best in everybody, but Joe Frazier brings out the best in me.” We saw the best of Ali in their climatic first fight. Frazier, for his part, started “smoking” in the mid rounds when he began to come on as he always did. I counted slip and duck rates for Frazier in this fight. Joe made Ali miss an average of 14-17 punches a round. This is the highest slip and duck rate I have encountered in fighters of this level. Roberto Duran averaged about 12 a round in his peak performance at lightweight against Esteban Dejesus in their rubber match. Frazier was making Ali miss and making him pay. Of their great trilogy it was this first fight where Ali and Frazier were at their best, both undefeated and neither thought that they could lose. The "Thrilla in Manila" may have been more vicious, but only because they were older and couldn't miss each other. In terms of skill level and quality of opposition, no other heavyweight fight in history can match this one. Perhaps no other opponent would have beaten this Ali. Consider what Ali brought to the ring that night. Fantastic hand speed, accurate jabs and precise combination punching, a hard right cross that never looked better, strength to clinch, maul and brawl on the inside, and in this fight he proved he could take a tremendous punch. Had Ali never went into exile perhaps we may have seen a better Ali between 1968-1970, that we will never know. What we can recognize is that we never actually saw a better Muhammad Ali than the one who fought Frazier on March 8, 1971. Neither Ali nor Frazier were ever quite the same after that fight. Despite having won the decision the fight seemed to take more out of Frazier who never again achieved the same level of success. Ali, although he would go on to enjoy another long reign as champion, never looked sharper. It is ironic that perhaps the greatest heavyweight champion of all time, on his best night ever, lost.